Length: 156mm. Image shows painted and assembled kit. 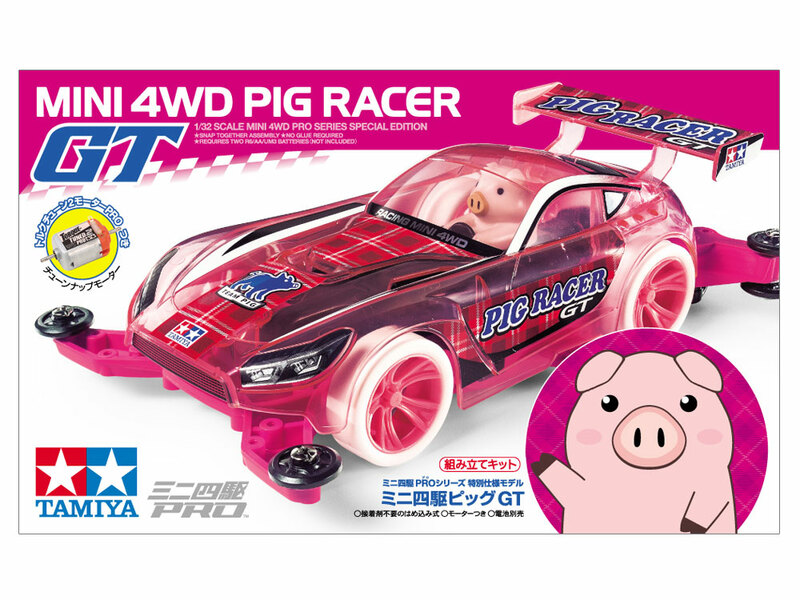 This assembly kit creates the Pig Racer GT, an exciting and speedy Mini 4WD racer! 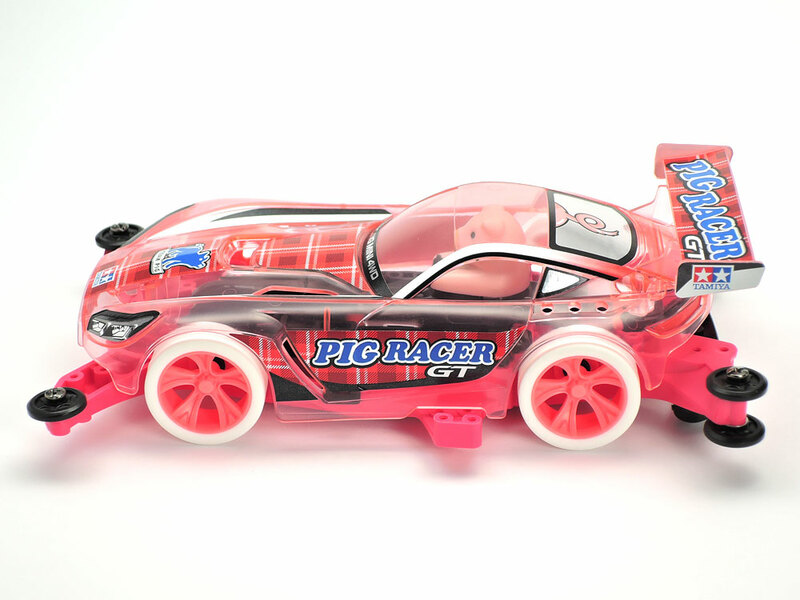 It pairs a clear pink GT car-inspired body with an (assembled and painted) oh-so-cute piggy driver called the Pig Racer. Chassis parts have a coordinated color scheme, as do the A-spoke wheels (fluorescent pink) and hard low-profile tires (white). Dedicated metallic stickers and a Torque-Tuned 2 Motor PRO are also included in the kit! 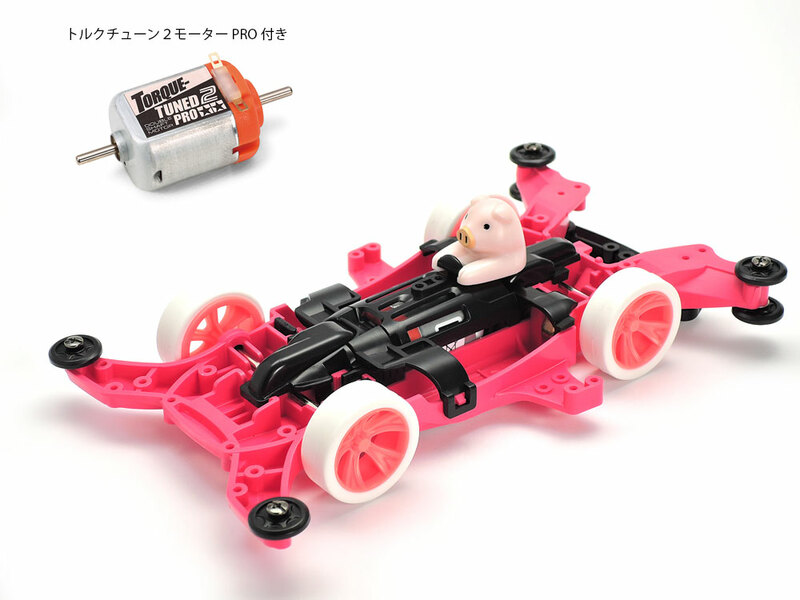 ★Molded in clear pink ABS, the long-nose short-deck body allows a good look at the porky driver of this model. ★The MA chassis is molded in a vivid shade of magenta, with black A parts proiding a nice complement. 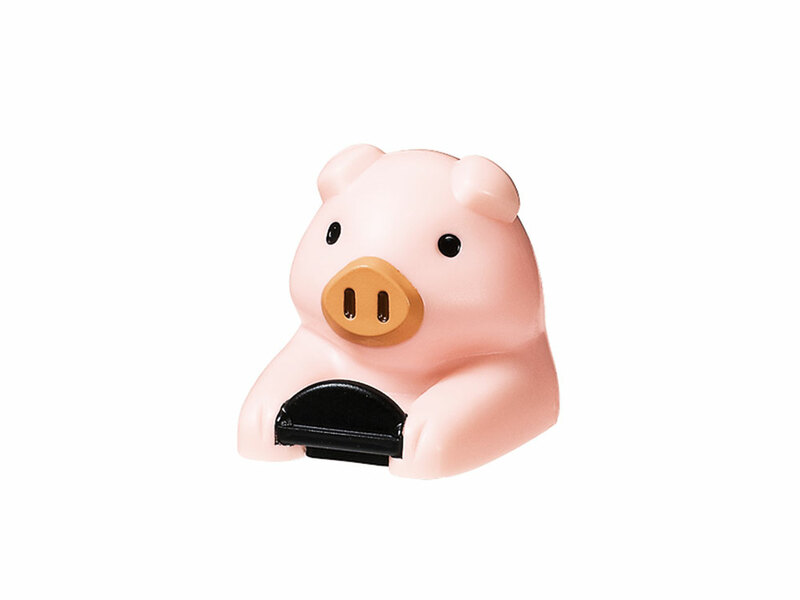 ★Here is the pilot of this model - the Pig Racer comes assembled and painted, and is easy to attach!